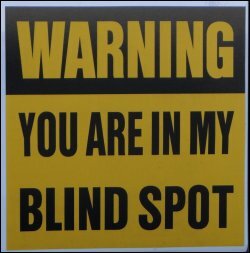 Blind Spots | Y'all Behave! 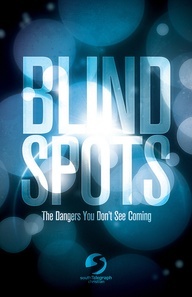 Drivers have blind spots, generally located in the rear right and rear left of the vehicle. These areas make it difficult for even the best drivers to confidently make moves without an over-the-shoulder confirmation. Nannies, even super ones, have disciplinary blind spots, located in certain households, and in the shape of specific kiddos. Even the most experienced Supernanny will encounter a child/ren who make it impossible to impose discipline. There is no rhyme or reason for the assignment of a disciplinary blind spot, no criteria except the intangible power certain kiddos possess over the nannies who love them. My disciplinary blind spots are shaped like Boss Lady and Blue Eyes. At this point I have babysat/nannied tens of children, of all ages, all adorable, all wonderful, all whom I have been/am able to discipline. But when it comes to Boss Lady and Blue Eyes, I just can’t do it. After a morning with Boss Lady, her mama will come home, as I sheepishly finish cleaning up the aftermath of Boss Lady and I’s day -we’ll have played with kitchen center, blocks, colors, finger paints, books, toys, puzzles, never stopping to clean up last activity before starting the next (not my MO! I pride myself on covering my toy tracks, at least by the time mamas get home! )- and me stuttering and stammering ashamedly, “I let her watch 2 Doras, and have snack mix, and candy, and I drew her eleven pictures,” hands outstretched, “Mea Culpa!” Boss Lady’s folks happen to think it’s hilarious, and don’t mind that their daughter is so doted on in their absence…PHEW! Similarly, Blue Eyes plays me like a fiddle, always flashing his azure eyes, slightly squinting against the pressure of his adorably plump cheeks as a smile pops. Everything is a suggestion, just something he thinks would be fun, one thing leads to another and his folks come home and wake me out of my stupefication long enough for me to piece together all that I let transpire. I recall the night’s events as if stringing together a repressed memory, “I blacked out. Uh… I let him have three desserts… he stayed up until 9:15… he really wanted to work on a puzzle… and he’s just so…” Blue Eyes’ folks, like Boss Lady’s think it’s too funny, and I hope are somewhat flattered that their son has a skill few kiddos can claim: the ability to lay waste to the disciplinary prowess of Miss Cheryl. Luckily for me, Boss Lady and Blue Eyes are both excellently behaved for me, never throwing their power around. Were they to know the magical spell they’ve cast on me, I’d be in big trouble! With any luck, these are my two and only disciplinary blind spots, any more I’d scarcely be able to see, let alone nanny! 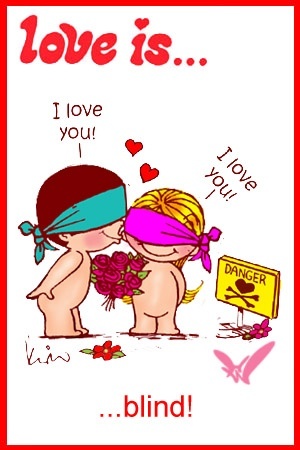 But you know, what they say: Love is blind.